4 Pocket Vertical Wall Garden Planter Only $6.95! You are here: Home / Great Deals / Amazon Deals / 4 Pocket Vertical Wall Garden Planter Only $6.95! You know those cool vertical planters you see in magazines or constantly pin on Pinterest? One day, you think, I’m going to make one of these! 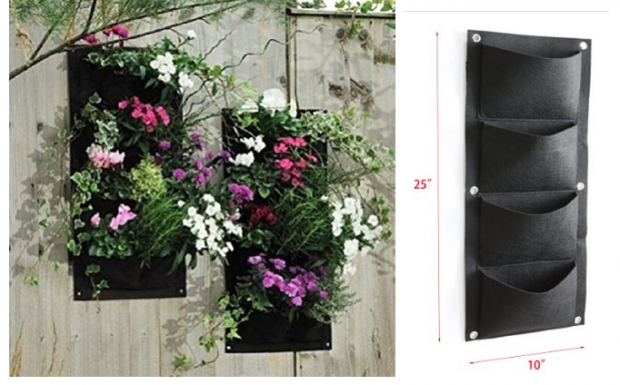 Stop pinning and start hanging the 4 Pocket Vertical Wall Garden Planter for Only $6.95! Put your fasteners up, hang the planter and plant away for a great addition to your patio!